Generation Star Wars: Duracell Star Wars commercial spreads holiday cheer! Duracell Star Wars commercial spreads holiday cheer! R2-D2 was the first Star Wars action figure gifted to me after being discharged from children's hospital in the winter of 1977. Duracell's latest tie-in with the Star Wars franchise evokes cherished childhood memories with its premise to help raise funds for Children’s Miracle Network Hospitals, in the US, this holiday season. 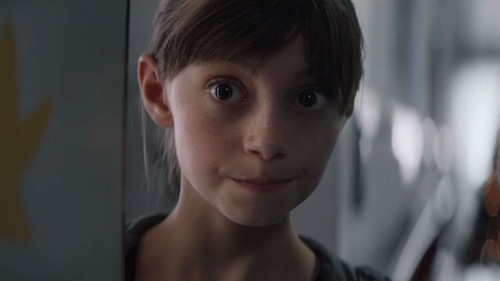 "We wanted to continue our partnership with Star Wars this year and continue celebrating the power that imaginative play has on kids," Duracell marketing director Ramon Velutini told Adweek. "We came across the most incredible insight: Kids at hospitals continue to act as kids even during tough circumstances, and imaginative play plays a big role in their ability to cope during their healing process." He adds: "We got the use of a newly opened hospital wing that had yet to be put to use. The exteriors were shot outside of a disused train factory, and all of the Star Wars costumes and gear were flown in separately by Lucasfilm." The commercial suggests R2-D2 may cameo in the upcoming standalone Star Wars movie. Rogue One: A Star Wars Story hits theatres 16th December.